Are you able to sharpen your saw? I've been talking to a lot of amazing nonprofit leaders and staff. Our sector is full of some of the most dedicated people! But dedication seems to go only so far, doesn't it? With all the hard work, doesn't it just feel like there's more to do? In our latest nonprofit leadership research, leaders report an overall feeling of being overwhelmed. It's like they're working harder and harder with less and less to show for it. Stephen Covey often talked about 2 men in a tree cutting contest. Both had the same saws and the same desire to win. One sawed and sawed and sawed endlessly. The other took regular breaks to sharpen his saw. The first man laughed at the second. He was convinced he'd cut more trees because he kept working and working and working. But that's not what happened. As the day wore on, the first man began working harder and harder. With less and less to show for it. With every cut, his saw got duller, requiring even more work. Even more effort. The second man? The one that took regular breaks to sharpen his saw? Yep, he won the contest. And wasn't nearly as tired as the first man. Are you feeling that way yourself? Working harder and harder with less to show for it? You know there must be a better way to work, but you don't have the time to find that training. And if you do find the training, you don't have the time to actually go? Most trainings are built around an organizers schedule, not yours, aren't they? And if your time matches their time, there's still the cost for the training. And the cost for travel. And for food. And hotel. Finally, there's a training program that comes to you, when you want it! The Nonprofit Academy has over 100 trainings, tools, and templates. Trainings from over 50 of the top nonprofit experts designed specifically to help you. You get to do the training when ever you want. It's like those 50+ experts are there waiting for you as you need them. and 5 on how to optimize your special events! If you're pursuing CFRE credits, NPA membership gives you access to 50 CFRE credits now. And more each month. 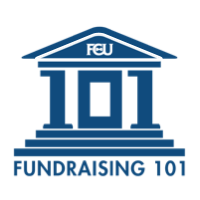 Plus, you'll get instant access to tools like: sample case statements, examples of gift range calculators, fundraising audits, board assessments, wording for web sites, and questions to ask in a focus group. You get access to the trainings. That alone would be great. Better still, there's at least one new training every month! and a 24 hour Members only forum to seek help whenever you need it! As a member of the Nonprofit Academy, you can sharpen your saw. And you won't have to be alone. And now it's even less! Between now and April 16, the first 40 people who respond get 20% off Lifetime Membership for the Nonprofit Academy. You can certainly join at monthly or annual rates. But now the convenience of one-and-done payment is 20% off. Hurry, this offer ends on April 16 (or when 40 people take advantage of it). With membership in The Nonprofit Academy, you can sharpen your saw with a community of like-minded people - without ever having to leave your desk. And you can now save on the one-payment option. Give your dedication the tools it needs to get the job done. Join The Nonprofit Academy today.